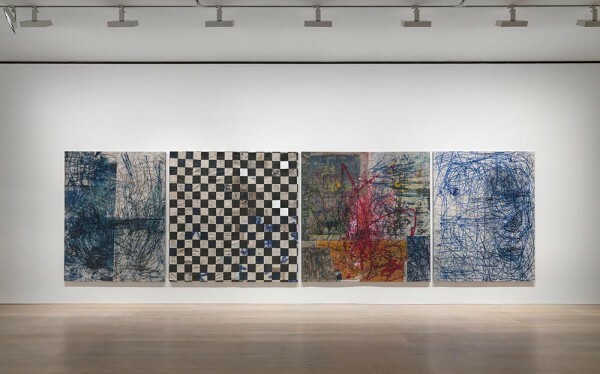 Showing now until November 20th, 2015 at the David Zwirner gallery in Mayfair. 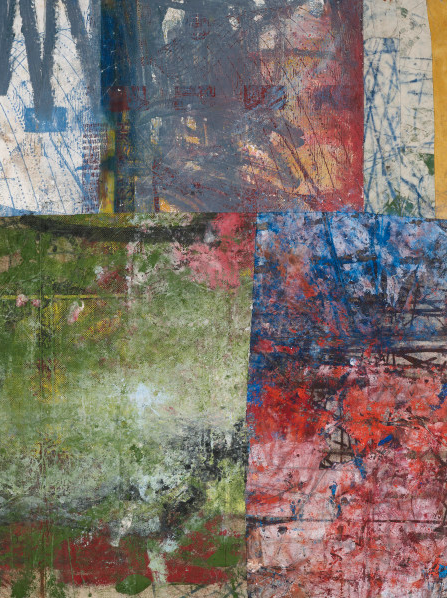 Oscar Murillo’s Binary Function challenges his own struggle within his self, his origin and his location. 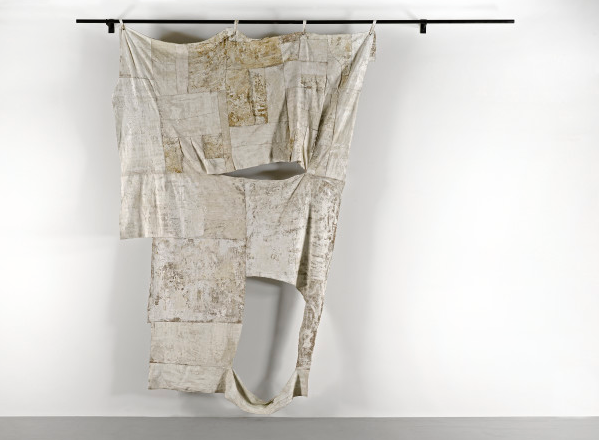 Murillo, born and raised in Colombia until 10 years of age, was educated at University of Westminster and then Royal College of Art where he graduated only in 2012. Not only a talented artist, but in an ongoing project, Murillo is collaborating with schools around the world in a project that involves covering students’ desks with canvases and asking children to draw on them, their creations eventually becoming part of a larger work.